Hello and welcome to the blog. Here is where I explore the archives of the University of St. Mark and St. John to bring you the most juicy and interesting fact from the past of our great alma mater. 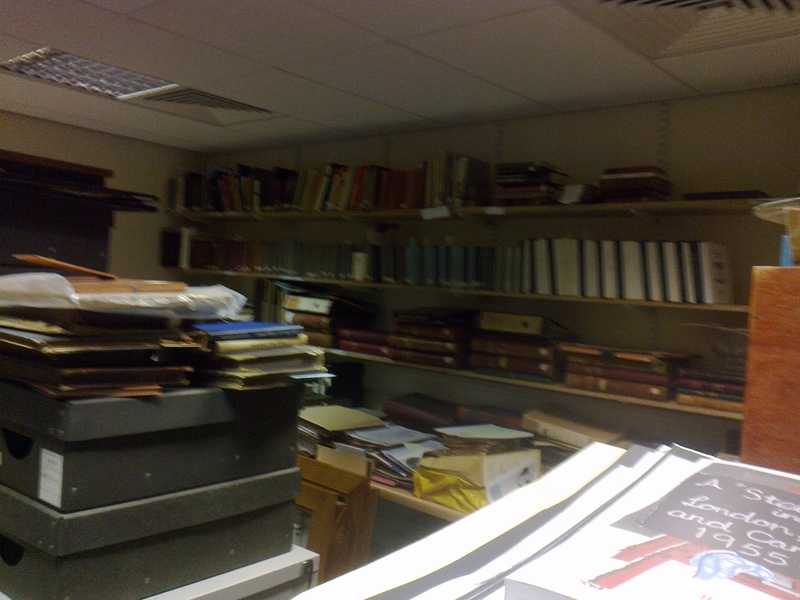 Not many of us students know much about our archives or that we actually have one of those. I was guilty of it myself, but now I think it is a great shame. We have a long and rich history and should be proud of it! I will take it upon myself to bring to light the most interesting, entertaining or inspiring facts and memorabilia connected to Marjon’s history. My first visit to the archives turned out to be a great surprise. It is located on the third floor of the library (yes, the library has a third floor, who knew right? :-), tucked at the very end of the corridor. Those who imagine the archives as a long space filled with shelves that stretch for as far as the eye can see would be disappointed. There is just one small room, but it is filled to the brim with the memories and mementoes of those that came before us.